Motorola is back with a new version of its X, its top-of-the-line smartphone. The X is a better competitor than last year's device as far as features go and takes build quality to the next level. Is anything holding Motorola back? 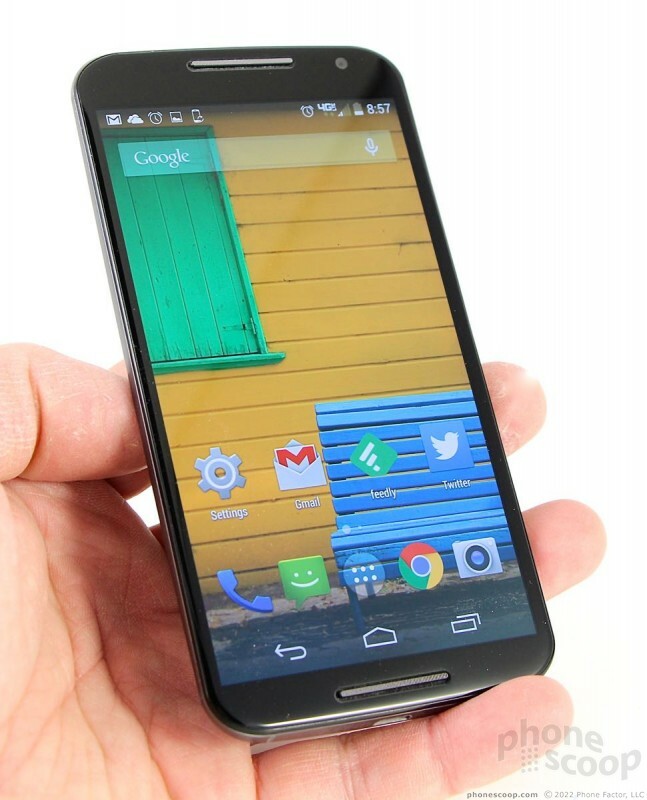 Motorola is back with a brand new version of the Moto X. The new phone is bigger in every way than last year's model, but bigger doesn't always mean better. The Moto X is for those who like the idea of customizing *everything* about their smartphone, including colors and materials, and want a good Google experience to boot. 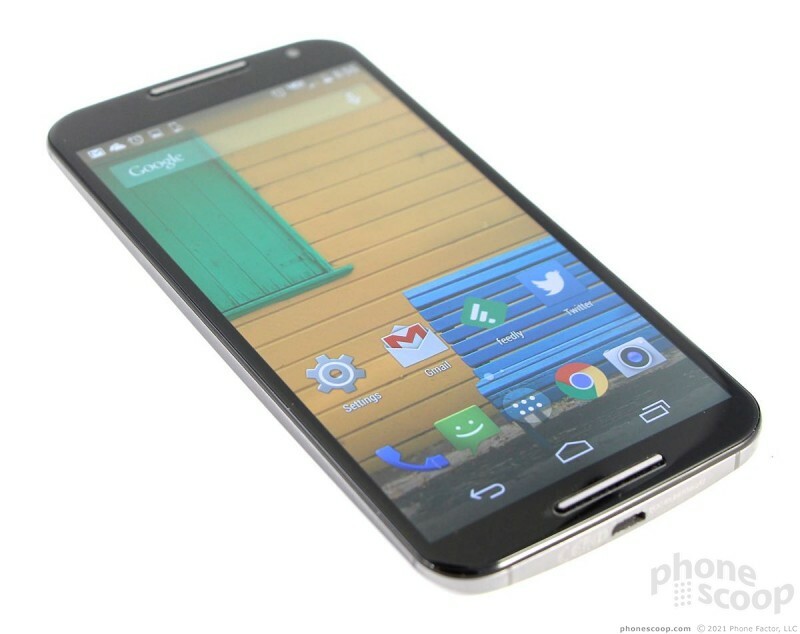 Motorola redefined smartphones last year with the Moto X. It launched a manufacturing facility in the US to custom-build smartphones for Americans. The idea was great, but not entirely successful. The original Moto X couldn't compete with flagship smartphones on a spec-for-spec basis, despite its unique design and customized voice-recognition software. 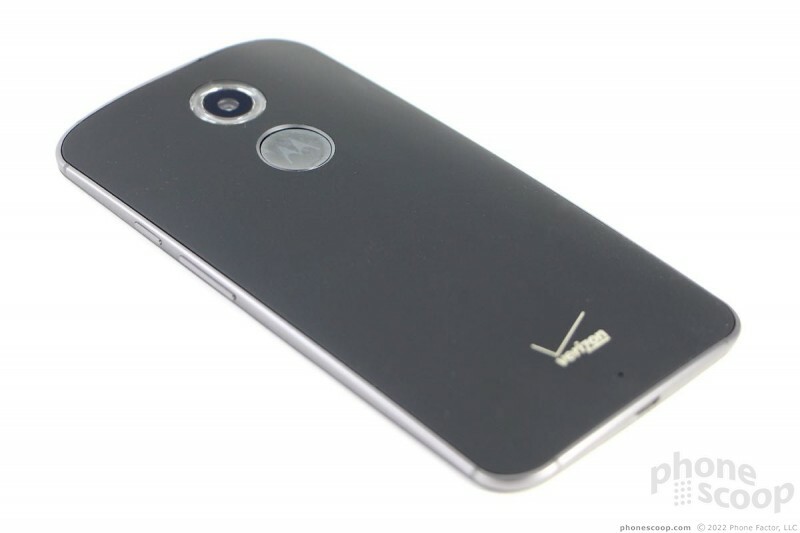 This year's Moto X *does* compete on specs - and that's perhaps one of its shortcomings. The 2014 Moto X is significantly bigger than the 2013 version. Motorola increased the screen size from 4.7 inches to 5.2 inches, which means the footprint of the phone itself swelled from 5.09 x 2.57 inches to 5.54 x 2.85 inches. When you put them side-by-side, the 2014 model looks significantly bigger. 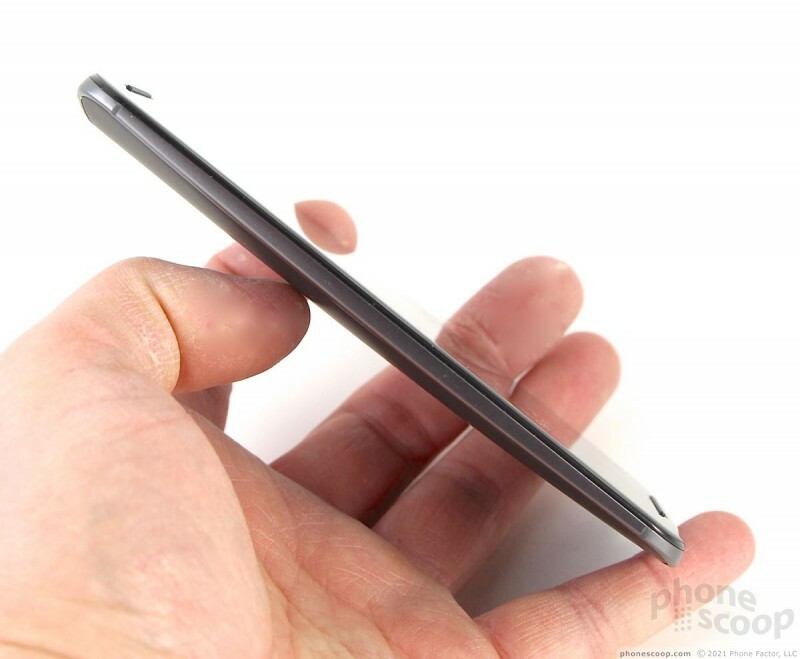 Thankfully, the new phone is slightly thinner at 0.39 inches versus 0.43 inches. What's interesting to me is that Motorola apparently threw its original thinking right out the window. It chose the 4.7-inch display on last year's phone specifically to keep the device compact and usable with a single hand. 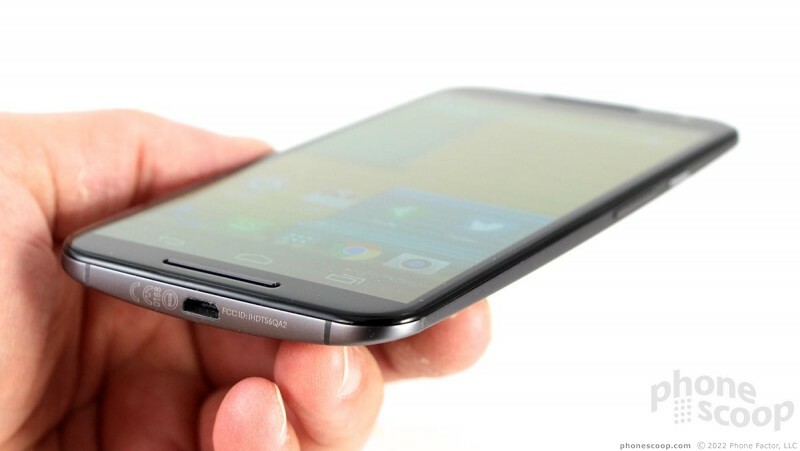 This year's phone is as big as phones such as the Galaxy S5, LG G3, and HTC One (M8). In other words, it's full-sized, and not compact at all. That might be a disappointment to those who prefer ease-of-use over kitchen sink thinking. 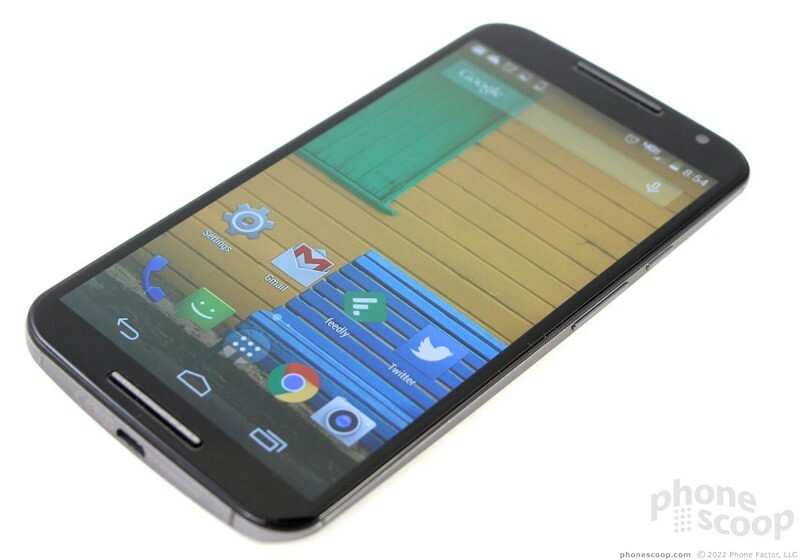 Preamble aside, the 2014 Moto X is a decent piece of hardware. It carries over the basic design elements of last year's phone, which means it has a contoured back panel with tapered edges. 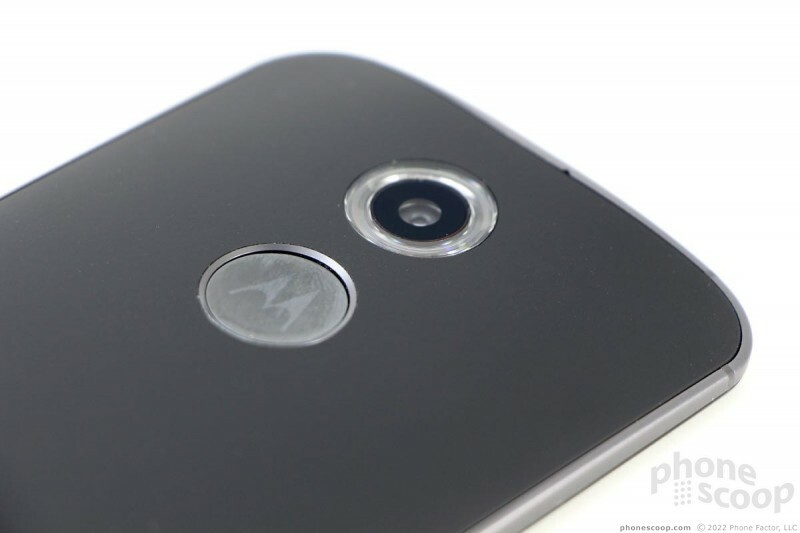 Motorola replaced the plastic sides with metal, which wraps all the way around the top and side edges. This helps boost the phone's appeal, in my opinion, as the materials are higher quality and look good. As with last year's model, the back panel can be customized. Motorola is offering a range of plastics, woods, and leathers to protect the back. 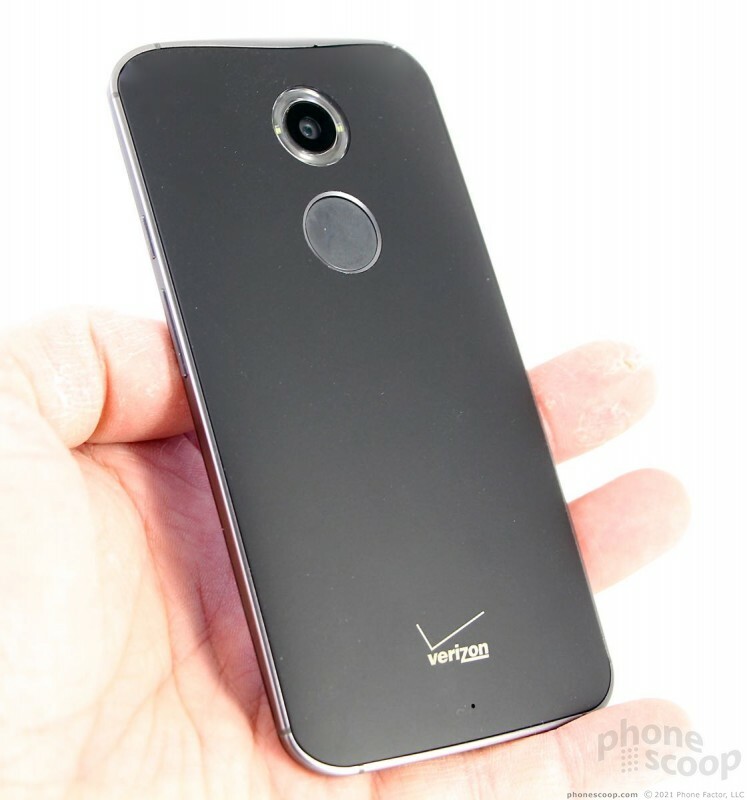 Motorola gave us one with black plastic. 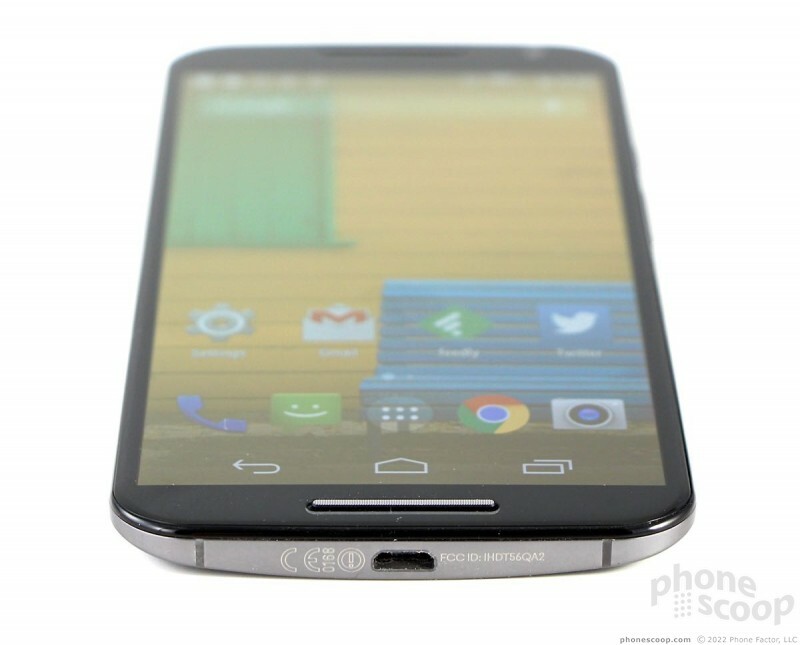 The fit and finish of the Moto X is definitely improved compared to last year's model. Replacing the plastics with metal and leather goes a long way to giving the device a more premium look and feel. All the seams are tight, and the device is rigid and strong. The weight is good; it's not too heavy nor too light. I find it is a bit wide in the hand, and I have to jiggle it a bit to reach the upper corners of the display with my thumb. It fits really well in pockets, even tight ones. Motorola did a decent minimizing the bezel around the larger screen. There are thin strips above and below the screen for the earpiece and microphone, respectively. They stick out way too much, as far as I am concerned. Worse, they are metal and have a ridged texture that's sharp enough to file your nails. (Although weirdly, if you choose a custom color, they don't seem have that texture.) I wish they were flush with the surface. There are no buttons on the front, as the device sticks to on-screen controls. All of the (many) sensors disappear into the front if you choose a black front, but are all too visible if you choose white. 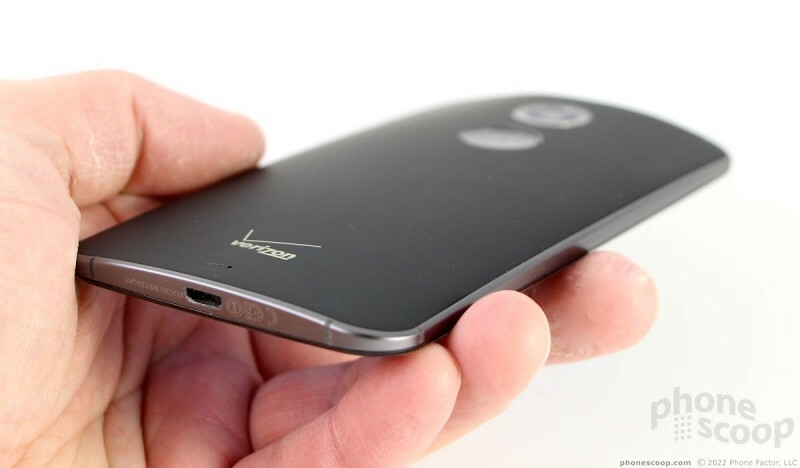 Motorola chose to keep the left edge free of buttons; it's a smooth, unbroken strip of metal. The screen lock button and volume toggle are situated on the right edge, just as on last year's phone. Both buttons have a good profile and travel and feedback. I didn't have any trouble locating or using them. There is no camera button. The USB port is tucked into the bottom edge and the stereo headphone jack is on top. The SIM card tray was moved from the left edge to the top edge. The Moto X doesn't support memory cards. The huge range of possible back covers gives people plenty of opportunity to design their own Moto X and make it personal. The default design includes a plastic rear shell, which has a soft-touch finish to it and feels good. There are also a number of wood choices for the back panel, as well as several leather options. Of course, you can also choose to customize the color of the accents, such as the buttons. The plastic shell is decent and feels better than the shell available to last year's phone. Honestly, the wood and leather options are more exciting and don't cost that much more. 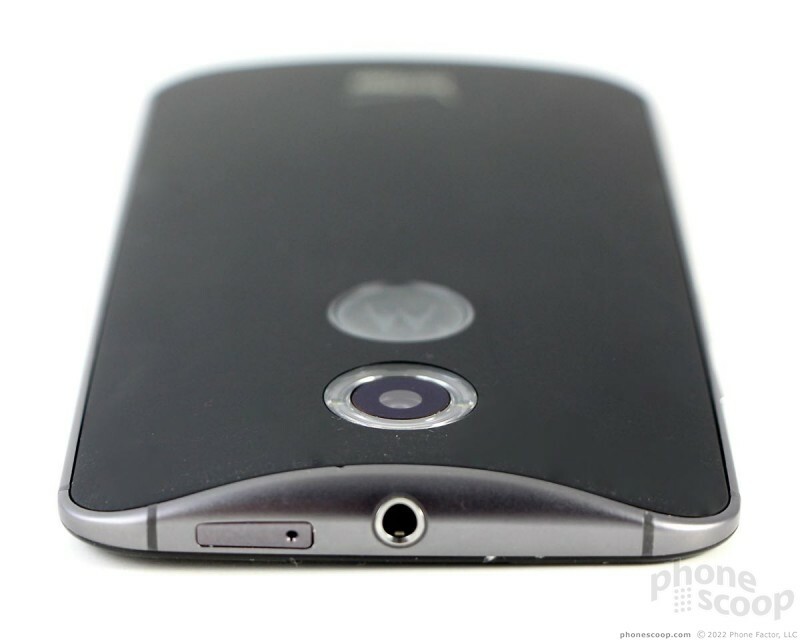 The X has an indentation on the back for the stylized Motorola "M" symbol. The indentation is deeper than the one on last year's model, and has a sharp rim that I rather dislike. The camera circle, with its novel ring flash design, is huge. Though Motorola allows you to pick your own back cover, you won't be able to remove it. There's no access to the battery, which is sealed inside. 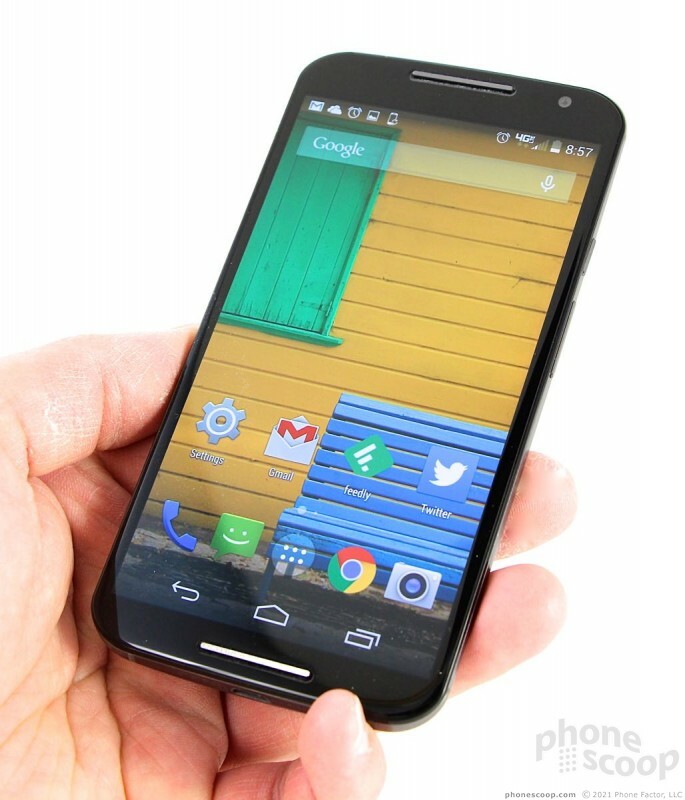 In sum, the 2014 Moto X is a better piece of hardware than its predecessor in almost every way except size. 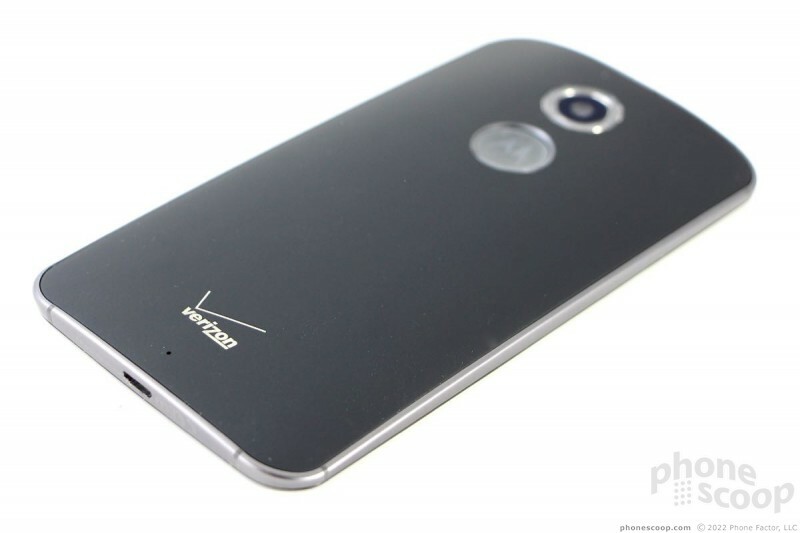 Last year's Moto X was a major turnaround point for Motorola. Building on the critical acclaim of the first model, the company is back at it with the second generation Moto X.
Motorola today announced the 2nd-generation Moto X. The new Moto X sports a larger, 5.2-inch AMOLED full-HD screen, Snapdragon 801 processor, and 13-megapixel camera with 4K video capture. Verizon Wireless said its version of the Samsung Galaxy Note 3 will begin to receive Android 5.0 Lollipop today. The over-the-air update will roll out to all users gradually. Google today said Android 5.0 Lollipop, which will ship on the Nexus 6, Nexus 9, and Nexus Player, will be made available to the Nexus 5, 7, 10, and Google Play edition devices in the coming weeks. Motorola also said it will update many of its devices to Android 5.0 Lollipop, including the Moto X (1st Gen and 2nd Gen), Moto G, Moto E, as well as the Droid Ultra, Droid Maxx, and Droid Mini. 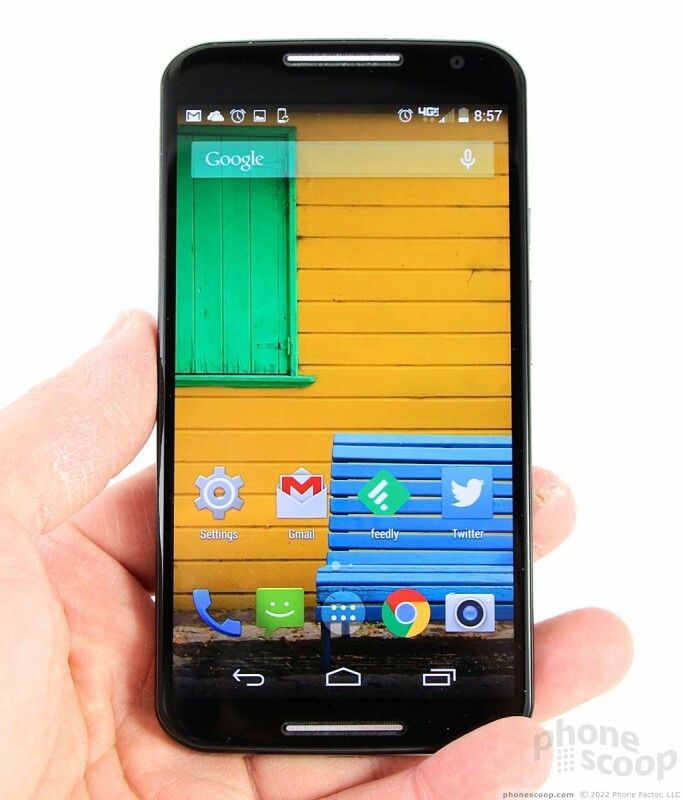 While an excellent high end Motorola device, the Moto G holds its own quite well at a better price point. With an AMOLED display and a slightly better processor, the Moto X is not that much a great difference from the G.
Moto G doesn't have LTE or Voice commands, low memory and RAM. Kind of a big deal to some... If you're into that stuff. I got the 1st. gen X over G based largely on this. 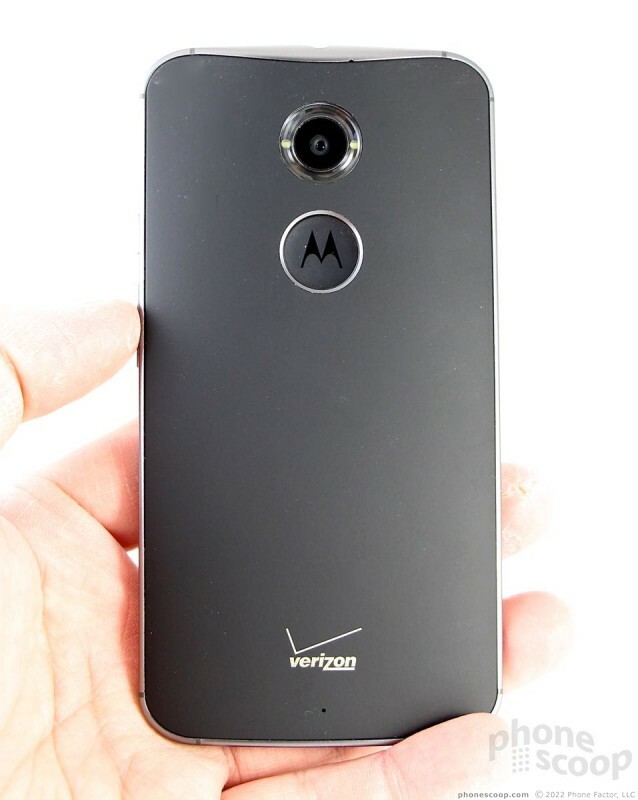 Moto X gen. 2 camera timer? Did they bother to develop a camera timer for snapping remote selfies? Funny how the old (2 years ago) Droid Razrs had timers.